It, according to BBC arts editor Will Gompertz, is rather less successful. 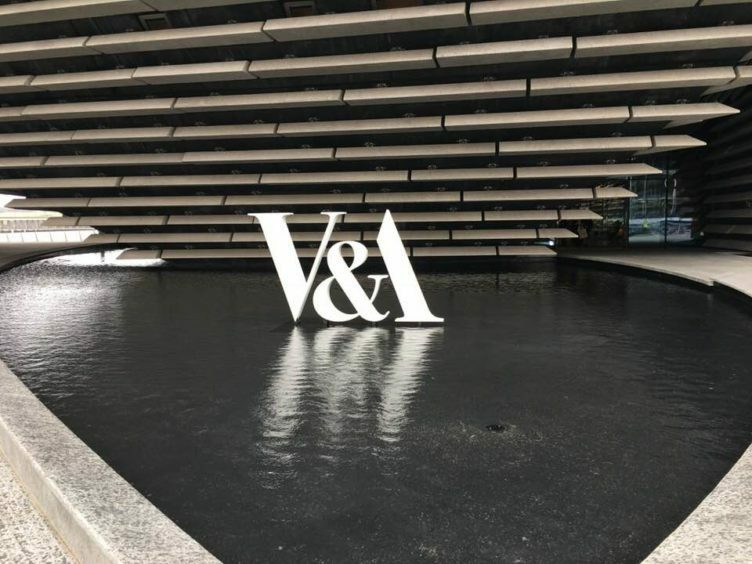 In his review, Mr Gompertz heaps praise on the V&A itself, saying: “The V&A Dundee is terrific. “The first purpose-built design museum in Scotland is itself an instant design classic. Yet, Mr Gompertz is less than convinced by work going on in the surrounding area, with a hugely controversial development opposite the museum and the railway station redevelopment receiving scathing criticism. “(The museum) is framed by some of the ugliest modern buildings I’ve ever seen,” he said. “With your sensibilities at their most aesthetically tuned after an hour or so in the museum you will be appalled by what confronts you (to the north). “The new railway station-hotel combo is ghastly. 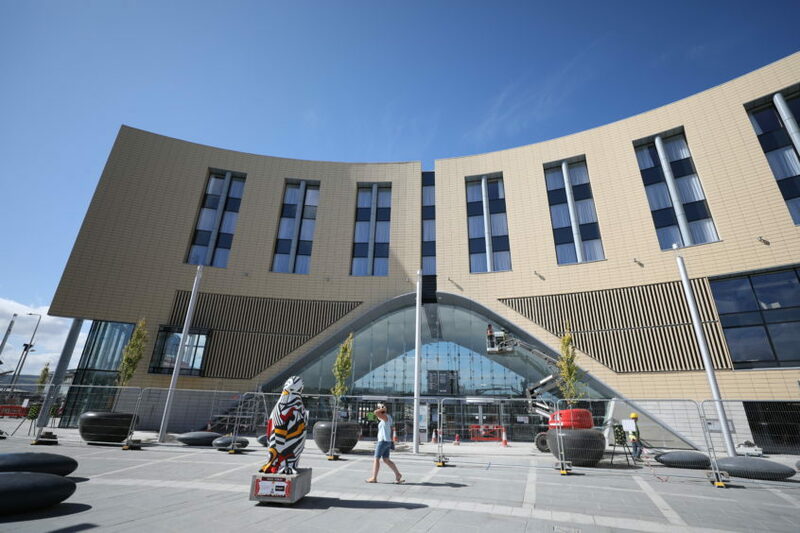 The new Sleeperz hotel at Dundee railway station. “As is the crass looking rectangular block being built to its side. “There are, I am told, plans for more of the same in a £1 billion regeneration of Dundee’s Waterfront. 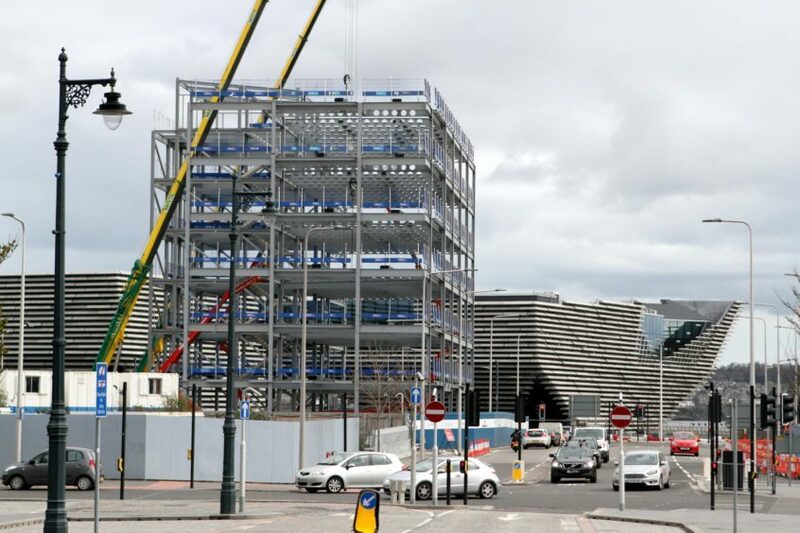 The emerging structure of the new building at Site Six in Dundee. Mr Gompertz clearly feels there has been a lack of foresight by those planning the wider development. “Was there not a design tsar in place to oversee the city’s regeneration masterplan?” he asked. “If not, why not? If there is one, what is he or she thinking? “The new museum was always intended as the ‘jewel in the crown’, but that’s no reason to decorate the rest of it with tacky add-ons. “Dundee had the foresight to invite a very good architect to build his first project in the UK on its waterfront.